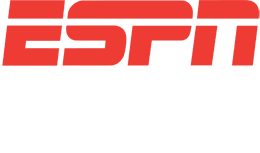 Ask any coach about road trips and aside from the collective “groan” that comes with that question, the response is something similar to this mantra – “ if we split our games on the road, that is good thing.”. The Rainbow Wahine split their road trip last week with a win over Big West Conference #2 UC Irvine on Thursday 70-68, but falling to Long Beach St on Saturday 56-40. Good thing? Well……. Good thing overall….yes. Hawaii went 3 – 1 on the road during this recent stretch which is a huge win for the team as they battle for the #4 spot in the league standings (currently 5-4 and tied for 4th with CSUN). The #3 and #4 seeds get a first round bye in the BWC Tournament. But how close were they to going 4-0? Consider that Long Beach St, granted on the road, was very beatable. They are right there with Hawaii in the middle of the pack of the conference currently 1 game behind Hawaii at 4-5. Similar? Yes. Beatable? Definitely. But shooting under 30% from the field hurt the Wahine and these unfortunate offensive showings have popped up here and there throughout the season. The bright side of the last game is promising freshman Myrrah Joseph had a career night of 15 points and 9 rebounds off the bench. She showed signs of being that physical and athletic player much like Destiny King of a few years ago. Hawaii returns home this week and we are now at the point where each game is crucial to the positioning in the standings. Spots 2 thru 5 all have 5 wins which means tie breakers may come into play to determine seedings in the Tournament. Wednesday it is UC Santa Barbara at 7:00p and Saturday it will be a 5:30p tip against Long Beach St. Listen to me and Tiff call both games live on ESPN 1420. Wednesday is Free Youth Night and Pink Out, while Saturday is Green Out and Military Appreciation Night. Hawaii is 4-2 over the last 6 games. A sweep at home would be……..sweet! The Rainbow Wahine did something that hardly ever happens to any Hawaii team – sweep their road trip. Laura Beeman’s crew defeated Cal Poly and UC Santa Barbara last week and will return home for games this week on Wednesday, Jan. 30 versus UC Riverside, and Saturday February 2 against Cal Poly. Winning on the road is always an indicator on the character and talent of the team. Because if you can win on the road, then you can definitely win at home. This year the Wahine have been dealing with some inconsistency, which makes the impact of these 2 roads wins more substantial. The last home game on January 17 was a loss to rival CSUN. Any loss hurts. But this game hit the team in a way that most teams would not be able to recover. Just 5 days earlier, the Wahine defeated pre-season Big West #1 UC Davis, the defending conference champions, with one of the top players in the conference in center Morgan Bertsch. Hawaii was struggling so this victory was a very good, almost complete game victory in which the Wahine was in control throughout. Players performed well, there was good execution of the game plan, and momentum was back. Then came the CSUN game. The Lady Matadors had one of the best players in the Big West in 6-4 center Channon Fluker who had previously dominated Hawaii single handedly the last few years. But this night, after the win over another good post player, there was optimism. Hawaii’s defense held Fluker and CSUN to one of their lowest offensive out puts, potentially of the whole season – 49 points. But the Wahine only scored 29 points. The team only had 12 points at halftime and the offense struggled mightily. That was a tough game to overcome, mentally, and psychologically. Could shooters make shots again? What if I miss 2 shots, do I shoot again? What if this happens again? Hawaii is 7-11 overall and improved to 3-2 in the Conference. But what does the two road wins, AFTER the CSUN game, tell you about the character of this team? Tune in to ESPN 1420 on Wednesday, 7:00p. If you have ever had the chance to speak with, or heard Hawaii Women’s Basketball Coach Laura Beeman speak, you will quickly identify her as one of those people that you want at your next party or other social function. Articulate, but doesn’t dominate a conversation. Smart, but without the ego of being the smartest person in the room. A sense of humor that sometimes catches you off guard. And always with a positive, but realistic perspective on what is going on around her. On Saturday, that positivity that she has been preaching since November paid off. 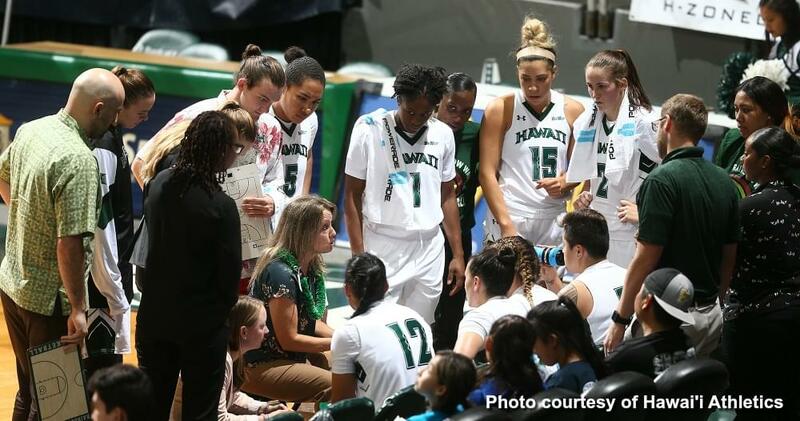 After a tough road trip and over a month away from home, the Rainbow Wahine snapped a 3-game losing streak on Saturday with a huge victory over UC Davis. A win is a win. But this one was different. After each home game broadcast Coach Beeman graciously sits with me for a brief post game interview (note to fans: she is not obligated to do this, but gladly does it right at the conclusion of the game). The past few games have not been that joyful…with some frustrating losses. But Laura always stated that “we will be alright…”. The players are working hard, and the play will get better. The key observation of good coaching: Is the team better at the end of the season then when it started? As a member of the media I appreciate Coach, and so have other colleagues, because she talks to us with genuine responses. It is never “coach speak” or giving broad-stroke comments with no color. She knows what is going on, and more importantly, she knows that we know too. Real responses. Articulate, insightful, and an occasional dry wit that always gets me laughing. Before we came on the air she looked at the final stats and aggressively circled 3 sets of numbers with a pen with comments. Turnovers (team has struggled with this) – lowest # of the season. Rebounds (Hawaii has been outrebounded in most games) – significantly outrebounded UC Davis. Personal fouls (committed on average more fouls than opponent) – not so this night.